Through innovative NanaWall engineering, ClimaCLEAR is a fully transparent, structurally secure, weather rated system for large openings. 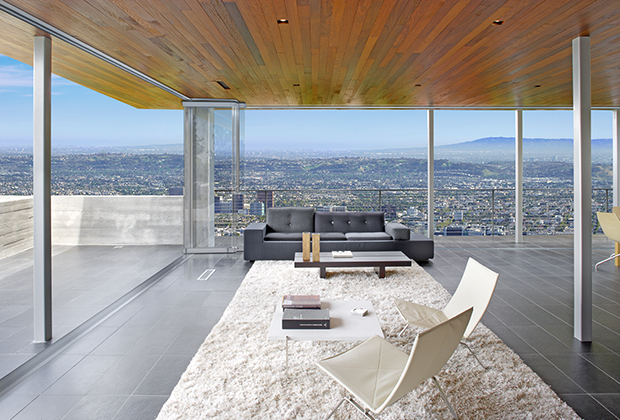 ClimaCLEAR allows for maximum transparency with no vertical stiles providing natural daylighting, open views, and a clean, modern appearance making it suitable for all design styles. In moderate climates: Use to create an indoor/outdoor lifestyle in living rooms, dining rooms, and kitchens. 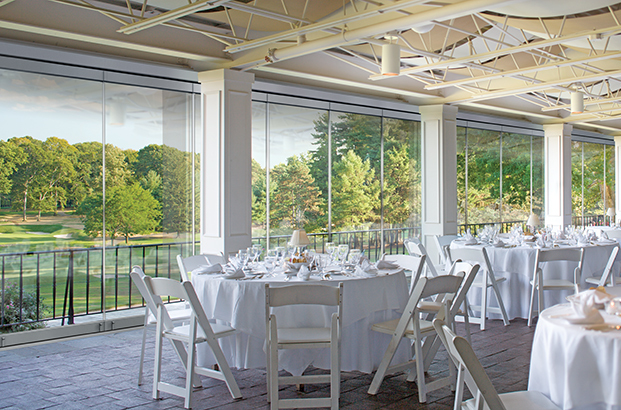 In colder climates: Extend the seasonal enjoyment of outdoor patios, three season rooms, or porches. 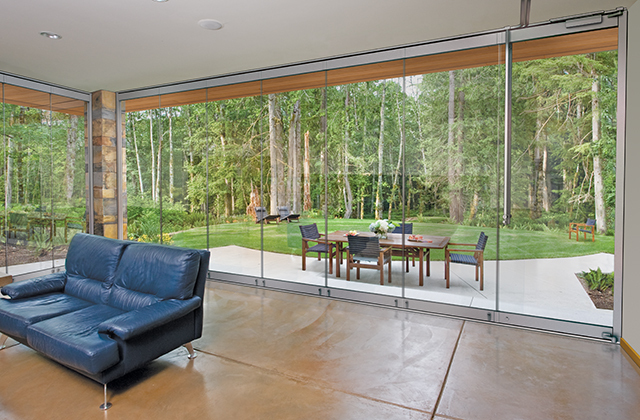 Create a transparent shelter from the elements without inhibiting the connection to the outdoors. In commercial settings or sport venue applications: Provide maximum viewing and unobstructed sightlines even when closed. Standard between all sliding panels and single action swing panels are super clear vertical seals to seal against wind driven rain and to reduce air infiltration. The seals virtually disappear from sight. Light transmittance (LT) of the weather seals has been independently tested and rated for 75% clarity and luminosity. 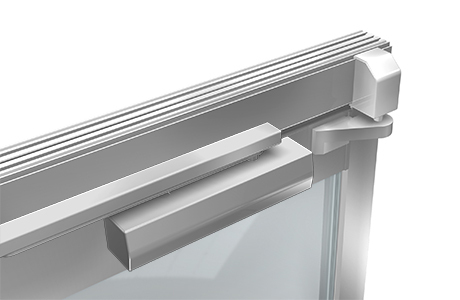 All horizontal continuous door rails come standard equipped with double fin brush seals on both sides, top and bottom, for weather protection. Proprietary male/female panel interlocks at the top and bottom rails are designed to help keep the weather out. Panel floor bolts are foot activated effectively locking the panel into place without the need to kneel down. 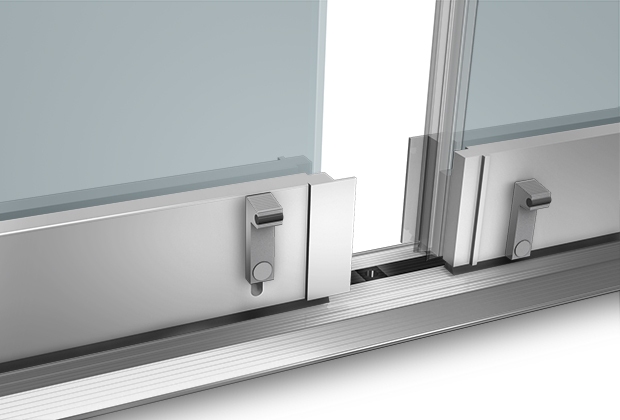 Structural integrity of the system is achieved through the combination of strong rollers, the clamping of the 1/2” (12 mm) monolithic glass, and through panel locking. Each closed panel of ClimaCLEAR can be securely locked in place. Standard to the swing panel is the Reverse Tubo200 handle/locking system with the handle starting at hand height and extending up to the top rail, outfitted with inside/outside locking and an additional lock at the bottom rail. The system has passed forced entry requirements. German engineered roller system ensures quiet, smooth, and trouble free single hand operation by using an “intelligent” guiding system for moving individual panels one at a time. Panels are available up to 10’ 6” (3200 mm) in height, dependent on windload requirements, and up to 4’ 1” (1250 mm) in width. Single action swing panels are available up to 3’ 7” (1100 mm) in width. Please confirm with local codes on height limits with 1/2” (12 mm) thick glass. In tight stacking conditions where a swing door is not required, a minimal 1’ 8” (500 mm) swing panel is available. For easy access, ClimaCLEAR configurations come standard with a single action swing panel equipped with a top door closer at the side jamb. 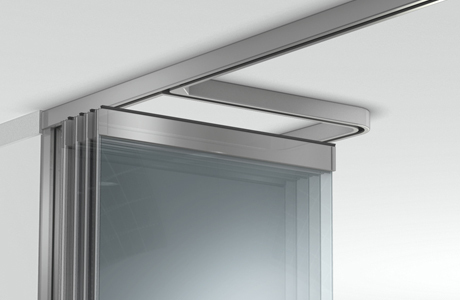 The swing panel with offset hinge allows for a maximum 150° inswing or 110° outswing and has been commercially tested to 500,000 opening and closing cycles. ADA compliant options available. Offering complex design flexibility, the single track individual panel design is able to create an unlimited span of top-hung panels for straight openings of any size. No “train station” effect from multiple floor tracks.